We are now approaching the start of the 2018 “Morgan Challenge” Championship Season. Tim will again be campaigning our trusty Old-English-White Plus 8 “George” in Class C of the Morgan Challenge Race Series. 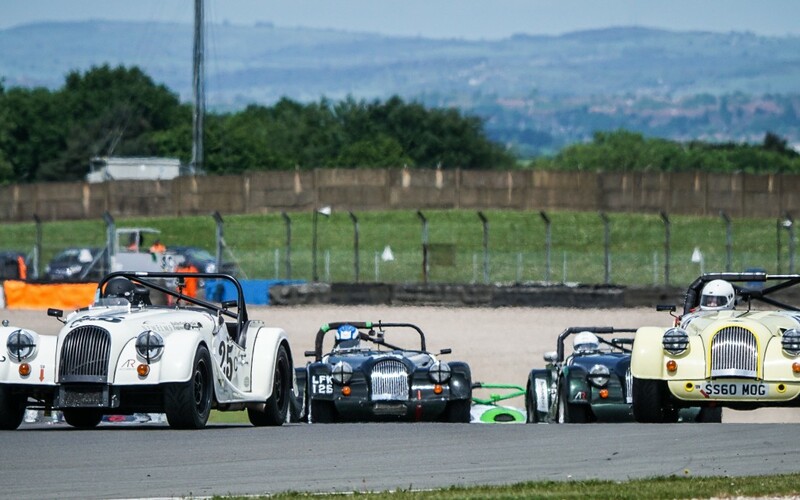 Three meetings are planned – Snetterton on 8th April, followed by a weekend at Spa Francorchamps in Belgium, in late June and the MSCC organised race meetings at Donington in July. John Bevan will be switching between his Class “R” Roadster Lightweight and Class “E” 4/4 “Competition” in 2018, whilst also running his track day company “Classic Tracks” (www.classic-tracks.com). You can hire either of his race prepared Morgans for a track day or race weekend. 2018 Class “C” Champions for New Elms!